After getting off to a slow start, the severe weather season has kicked into overdrive. A multi-day tornado outbreak has been wreaking havoc across the southern and central United States since Sunday. Widespread destruction, power outages, and a mounting death toll have been reported across several states. Some of the hardest hit areas include Arkansas, Mississippi, and Alabama. 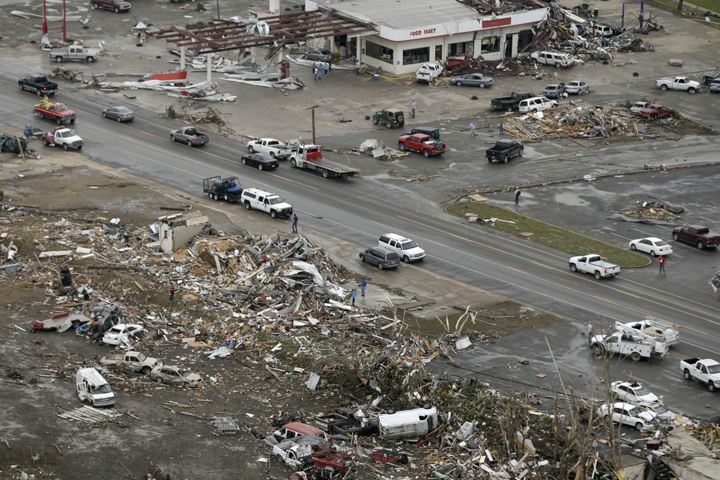 According to local authorities, the twister that hit Vilonia and Mayflower, Arkansas on Sunday night was on the ground for 29.2 miles and claimed the lives of at least 16 people. With winds in excess of 136 mph, the NWS has assigned it a preliminary rating of EF-3. On Monday, the same deadly storm system moved into Mississippi and Alabama and generated even more tornadoes. Local officials there say hundreds of homes were destroyed and at least a dozen people were killed. The strongest storm in this outbreak so far was an EF-4 (preliminary rating) that touched down in Louisville, Mississippi. With winds ranging between 166 and 200 mph, it was also the strongest tornado to form in the U.S. to date this year. Tornadoes are par for the course in this part of the country in spring, but the longevity of this outbreak is unusual. With warm, moist air moving up from the Gulf of Mexico and feeding into a very slow moving low-pressure system, the threat of severe weather continues to linger. 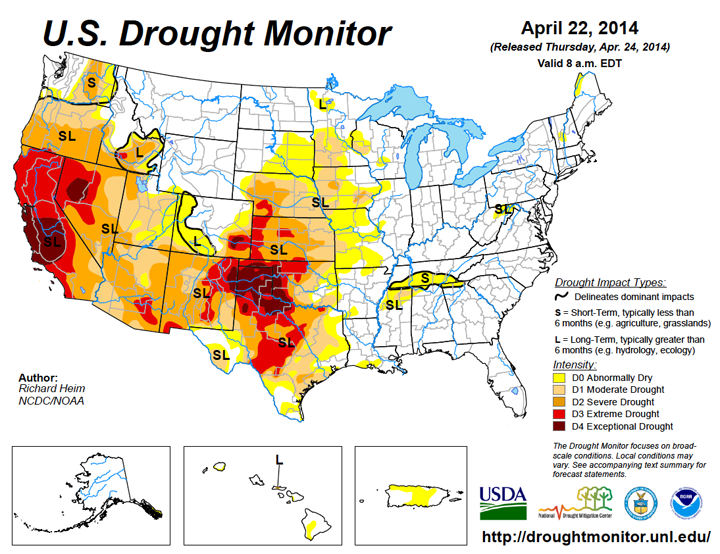 Drought has been plaguing the western and southwestern regions of the United States for months. Without any significant spring precipitation, the situation has gone from bad to worse. According to the latest report from the US Drought Monitor, 100% of California – the entire state – is experiencing some form of drought. This is the first time this has happened in the Monitor’s 15-year history. Most of the state, 77%, is currently in extreme drought. That is up from 69% from just a week ago. Experts say this situation is unlikely to improve anytime soon now that California’s so-called rainy season has ended. These parched conditions have serious implications for this nation’s third largest state. With a population of nearly 40 million people, drinking water supplies are at risk and the threat of wildfires are on the rise. As a major agricultural producer, the drought there will also have impacts across the country in terms of rising food prices. Another hard hit area is Texas, especially in the panhandle. Currently, 86% of the Lone Star state is in drought and 13% is suffering under conditions of exceptional drought – the worst possible category. 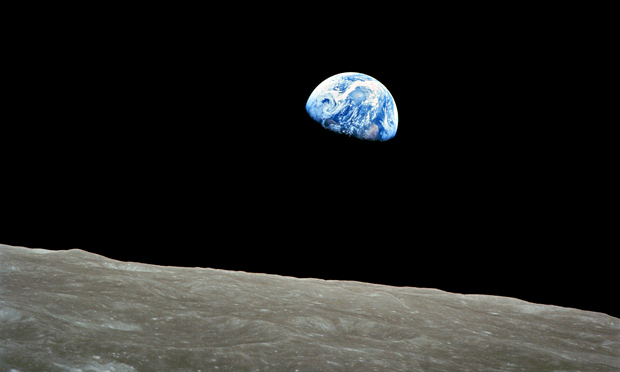 There is a saying, “A picture is worth a thousand words.” As Earth Week continues with events around the world to raise environmental awareness and encourage action on climate change, the photograph, Earthrise, seems to be the epitome of that old adage. Although forty-six years have passed since this iconic image was captured on film, its subtle message seems more relevant than ever. Spring is usually the height of severe weather season in the United States. This year, however, it has been slow going – at least so far. According to NOAA’s Storm Prediction Center, there have only been 20 tornadoes rated EF-1 or higher to date in 2014. On average, we usually see 157 storms by this point in the season. Of the twisters that did form, none were rated EF-3 or stronger. That is fairly weak by tornado standards, which are measured from EF-0 to EF-5 on the Enhanced Fujita (EF) scale. With colder than average temperatures dominating most of the country recently, storm development – which needs warm moist air and explosive convection – has been limited. That said, a slow start does not necessarily mean a slow season. It only takes one strong storm to devastate an area. 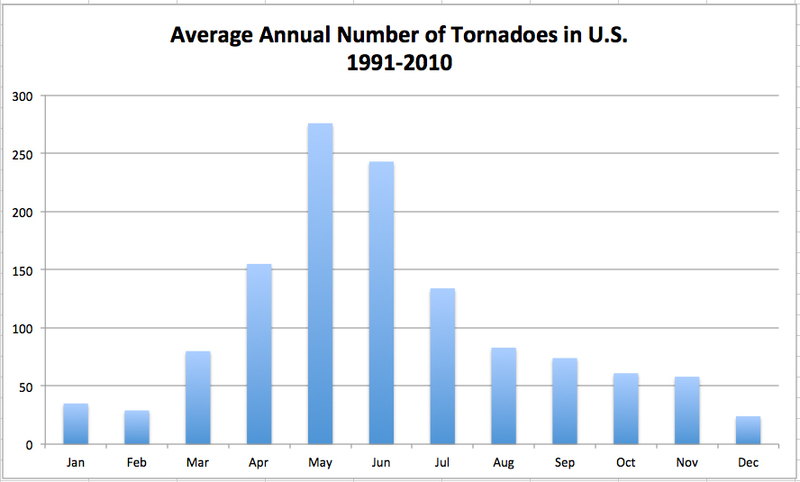 Last year, for example, was a below average season, but it still produced an EF-5 that leveled Moore, OK.
May is typically the most active month of the year for tornadoes in the US. 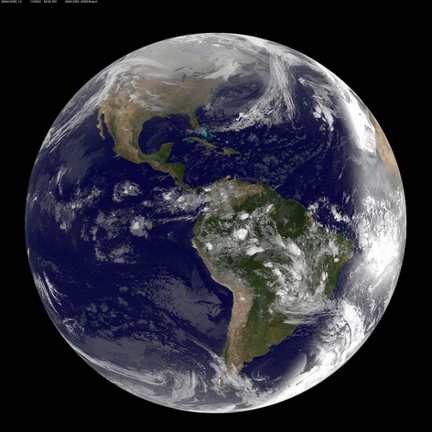 Today, forty-four years after the original, Earth Day is an international holiday observed in 192 countries across the globe. Some communities have even expanded the celebration into Earth Week. These continuing efforts to raise environmental awareness are more important than ever as we face the challenges of Climate Change. 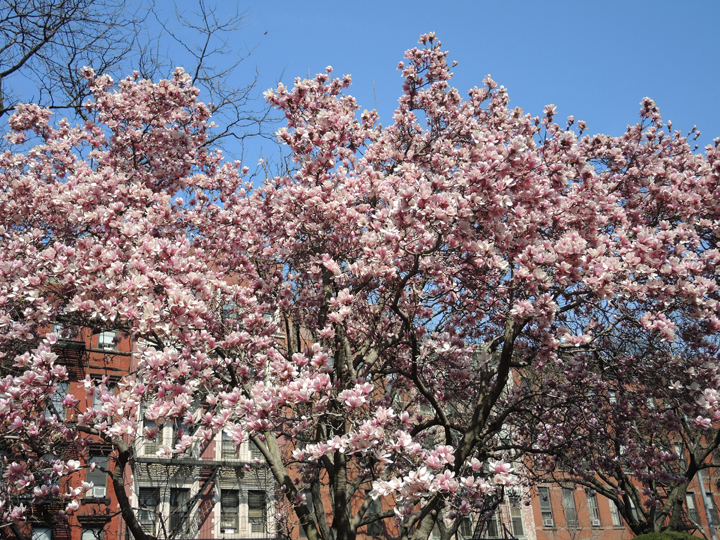 Spring sprung in New York City this weekend, but winter weather came fighting back overnight. Following multiple days with temperatures in the mid-70s, many New Yorkers were surprised to find a light coating of snow on cars and sidewalks this morning. The dramatic cool down – caused by a large mass of cold air moving in from Canada – was accompanied by rain that turned into a wintry mix overnight. With the temperature plummeting into the 30’s, the NWS issued a freeze warning for the city and surrounding area. Snow in April is not unheard of in the Big Apple. On average the month brings us 0.6 inches. That said, as the month progresses, the chance of snow decreases. The latest measurable snowfall on record for NYC is April 25, 1875 when 3 inches accumulated in Central Park. The UN’s Intergovernmental Panel on Climate Change (IPCC) released the third part of its massive fifth assessment report (AR5) yesterday. Building on the science from part I, this section focuses on mitigation – how we can slow down climate change. Written by 235 scientists from 58 countries, the report finds that quick and dramatic action needs to be taken to avoid a warming increase of 2°C (3.6°F) above pre-industrial levels – a goal set by international agreement. Driven by population and consumption growth, as stated in the report, “Anthropogenic greenhouse gas (GHG) emissions have increased from 27 to 49 gigatonnes of carbon-dioxide equivalent per year (+80%) between 1970 and 2010; GHG emissions during the last decade of this period were the highest in human history.” While the burning of fossil fuels accounts for the majority of these emissions, deforestation and agriculture also play a key role. To meet the 2°C target, according to this 2007 Nobel Prize winning group, carbon-dioxide emissions need to be cut by 40%-70% by 2050. And, by 2100, they need to be almost zero. The report emphasizes that delaying mitigation will only increase the cost of dealing with climate change later – both economically and socially. In writing this tome, experts analyzed over one thousand potential solution scenarios. While the report does not recommend any one particular policy approach for lowering emissions, it emphasizes that zero-carbon energy sources, like solar, wind, and even nuclear power need to triple by 2050. It also stresses utilizing carbon capture technology, reforestation, and the implementation of more energy efficient building codes. According to the report, “Without additional efforts to reduce GHG emissions beyond those in place today … global mean surface temperature increases in 2100 from 3.7°C to 4.8°C (7°F-9°F) compared to pre-industrial levels.” This amount of warming could have catastrophic consequences on human civilization, as pointed out in the IPCC’s Working Group II report on impacts and vulnerabilities released two weeks ago. This coming autumn, the IPCC will publish an official synthesis of the reports from its three working groups. It will be used as a guide for the policy makers at the next Global Climate Summit scheduled for December 2015 in Paris. Any treaty agreed to there is supposed to take effect in 2020. After a long snowy winter, New Yorkers have finally emerged from hibernation. With temperatures soaring well into the 70s all weekend, the city’s parks were filled with people enjoying the balmy spring weather. The normal high in NYC at this time of year is 60°F. 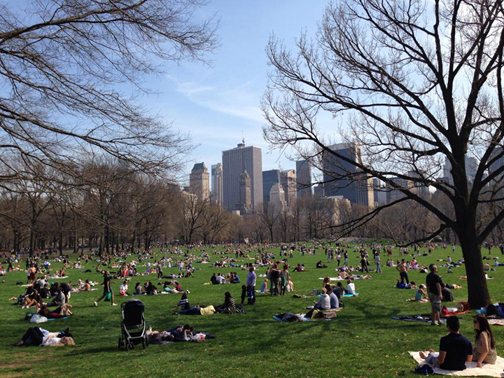 New Yorkers enjoying a warm spring afternoon on the Sheep’s Meadow in Central Park. Image Credit: The Weather Gamut. What is the IPCC ? The news, recently, has been filled with articles about the latest report from the IPCC. But what, you may ask, is the IPCC? Formed by the United Nations in 1988, the Intergovernmental Panel on Climate Change (IPCC) assesses our planet’s changing climate and its impacts on society. It consists of three working groups that publish massive in-depth reports every six to seven years. Working Group I examines the physical science of climate change. Working Group II considers the impacts to and vulnerability of human and natural systems facing climate change. It also assesses the potential for adaptation. Working Group III deals with mitigation. When put together, they form the scientific basis for all U.N. negotiations on global climate treaties. Authored by hundreds of scientists from around the world, the IPCC reports summarize the latest peer-reviewed science on climate change. Before they are published, the wording of the reports must be approved by delegations from participating national governments – usually well over one hundred. The IPCC is considered the global authority on the subject of climate change. In 2007, along with former US Vice-President, Al Gore, the group was awarded the Nobel Peace Prize for calling attention to the climate crisis.